Dog trainers, training methods, and training tools, are everywhere. How does one know which way to go? I admit that I’m not an expert dog trainer so I most certainly don’t have what I’d call a “right” answer to that question. However, I do know what feels right to me and works after spending 30 years living with Gordon Setters. 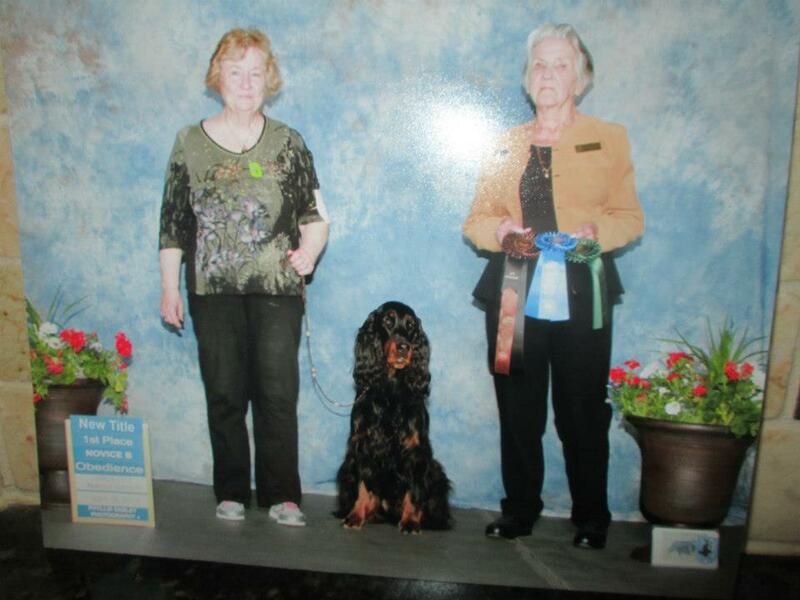 While I’m not actively exhibiting in performance events, my Gordon Setters are members of my household and so we did need to find a way to live safely and peacefully together. Needless to say living with a large, active Gordon Setter in the house does take a bit of training though while I’d like to think that I’ve been training them I have to admit that they may have trained me just as often! I just finished reading the peer reviewed article “Moving Beyond Leader of the Pack” written by Iilana Reisner, DVM Phd. and I’d recommend you take a couple of minutes to read it yourself, especially if you’re not familiar with force free or fear free methods of training. Ms Reisner lays the groundwork for why force free training is appropriate and lists multiple resources for more information and guidance regarding these methods. 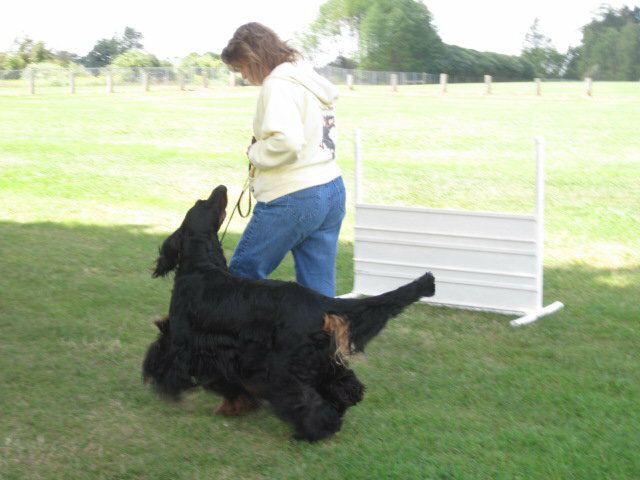 If you’re involved in performance events with your Gordon Setter perhaps you could take a minute to share your training methods and/or thoughts with us? If you’d like to send us information for publication you may do so by emailing us at: gordonsetterexpert@gmail.com and please use Training in the subject line. To read the PDF of the article “Moving Beyond Leader of the Pack” click here. Veterinary Behaviorist (Diplomat ACVB) are board-certified specialists qualified to diagnose and treat both medical and primary behavioral conditions in animals. Currently there are 65 veterinarians worldwide board-certified by the American College of Veterinary behaviorist (dacvb.org). Certified Applied Animal behaviorist (CAAB) have completed graduate-level (master’s, doctorate, or veterinary degree with behavior residency) training at an accredited university in the field of animal behavior, demonstrated skill in applied behavior and training, and met the requirements for credentialing by the Animal Behavior Society (certifiedanimalbehaviorist.com). Certified Pet Dog Trainers (CPDT) are dog trainers who have met the requirements for certification by the Certification Council for Professional Dog Trainers. This group certifies trainers on the basis of humane standards of competence in animal training and behavior, standardized testing, and continuing education (ccpdt.org). Non-credentialed behaviorist, such as those who use the titles behaviorist, animal behaviorist, pet behavior consultant, animal behavior specialist, and other related titles (which can be used by anyone), have no specific background or education in animal behavior.it is important to carefully review the qualifications, education, and experience of any non-credentialed individual who claims to be a behavior specialist.